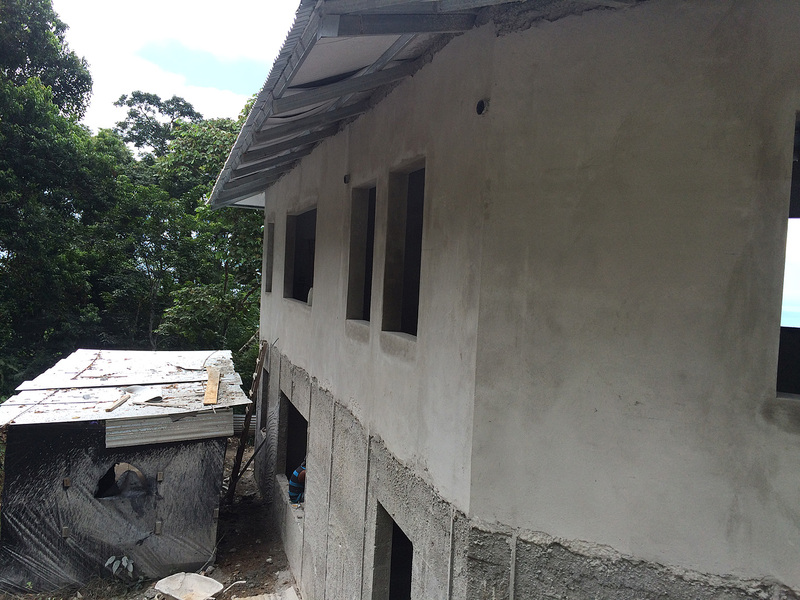 After quite a few weeks of applying repello (concrete) to the walls, they are just about finished now. 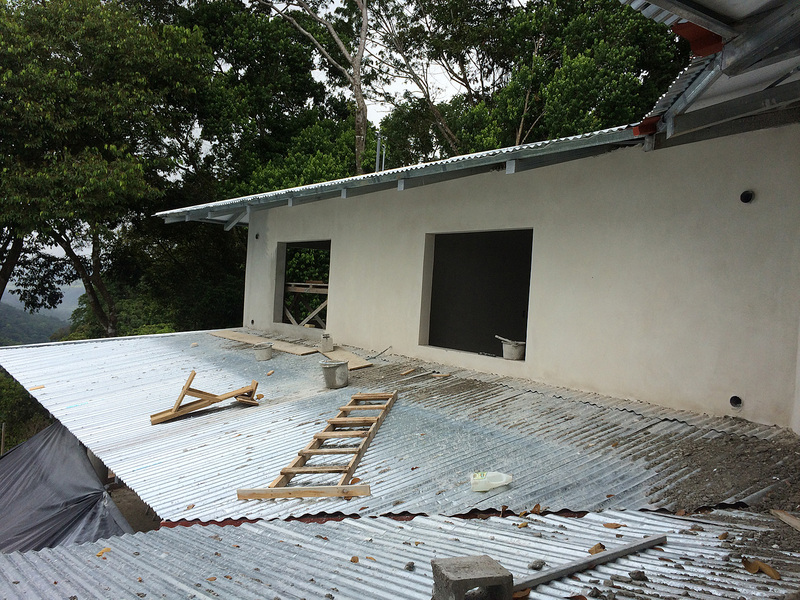 The walls have been filled out and made straight and all the door and window openings have been squared up and adjusted to their final sizes. A thin final finish coat is now being put on to fill in any imperfections and the walls are really looking beautiful. 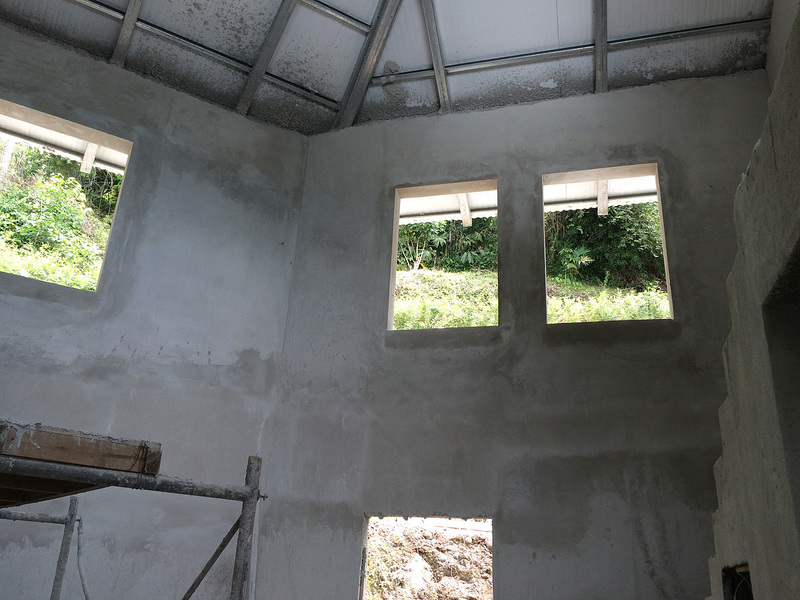 Walls and windows in the living area are finished. 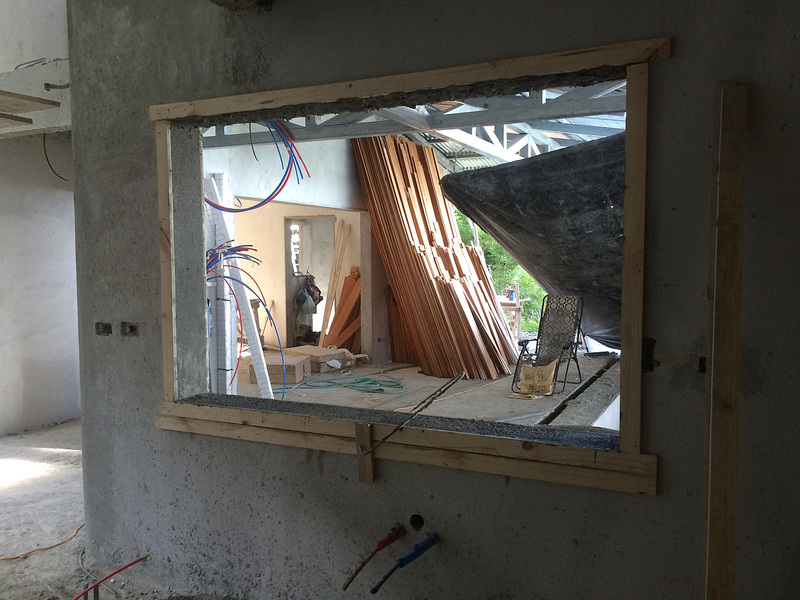 This is the kitchen window with the wooden guides still in place. This wall section has had the final finish coating applied. 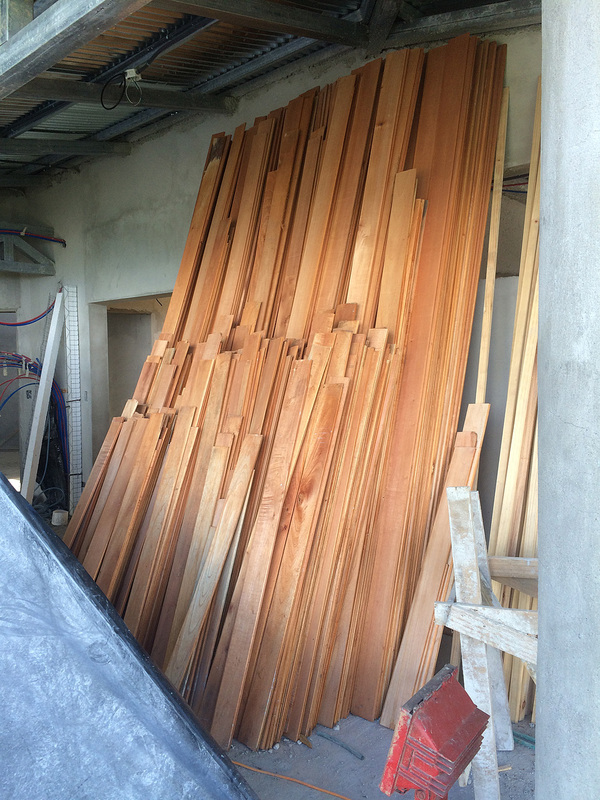 This is the tongue & groove cedro tablilla that will be installed on the ceilings. As with any construction project, we have had to make some adjustments or changes on the fly. Looking at two dimensional plans or even 3D models on a computer is never as good as seeing the actual bricks and mortar. So, invariably there are things that you discover during the construction process that either just don’t work or could be improved upon. 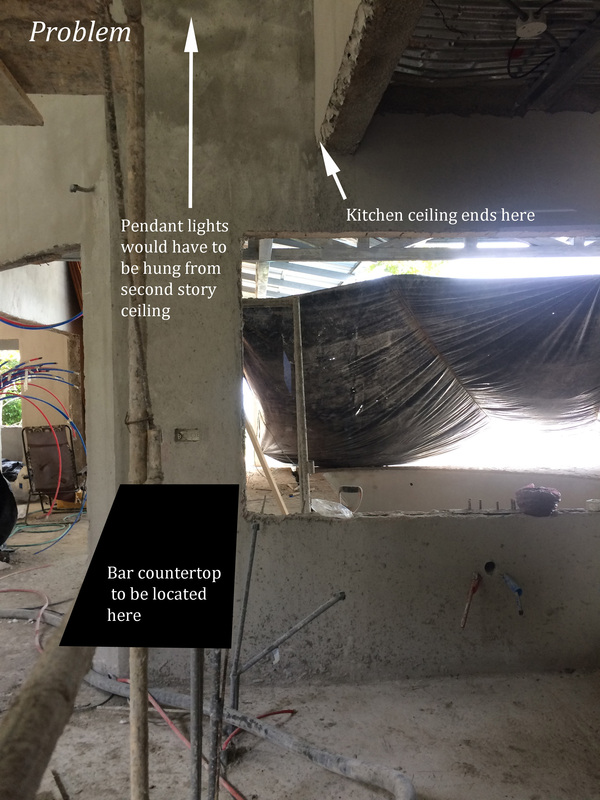 For example, in the kitchen, there will be a section of bar-height counter top and the plans call for three pendant lights to be hung over the counter. However, as things came together, I realized that the ceiling in the kitchen does not extend over the counter. That means that the pendant lights would have to be hung from the upper ceiling which is over 20 feet high. This is not what I had visualized and I don’t think small pendant lights hanging from that high would look very good. 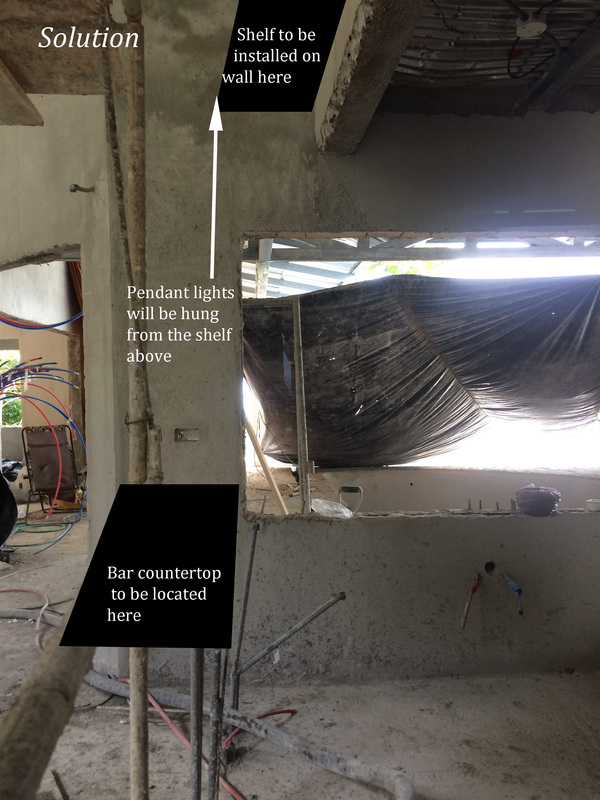 The solution we came up with is to install a large shelf on the wall above the bar counter which will extend out about 16 inches from the wall. We will then hang the pendant lights from the underside of the shelf and they will be positioned correctly above the counter top. I have made notations on the photos here to try to explain the situation. Also, when Ellen came back from the States and saw the progress on the house after being gone for 2 months, she noticed another situation which we are going to change. 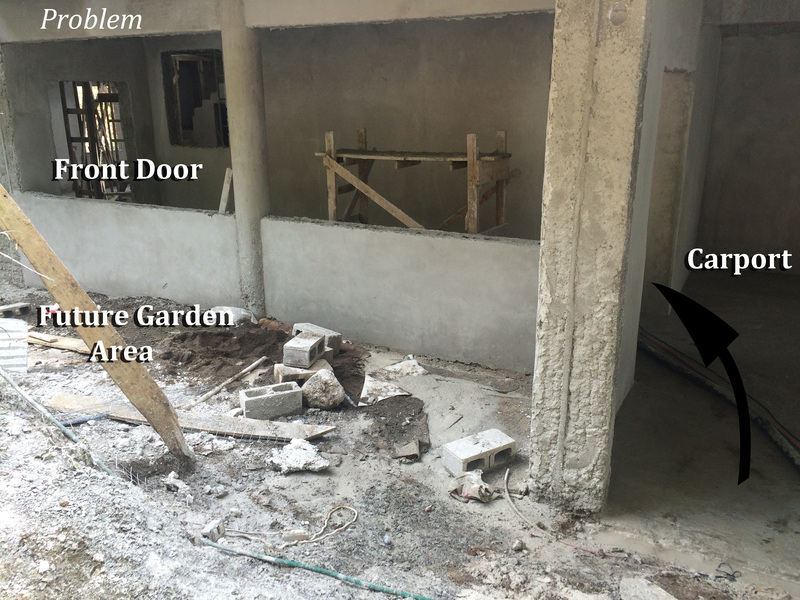 Entry into the front of the house, as drawn on the plans, requires walking through the carport. While this may be fine for us, it is a little odd for guests coming into the house. See the photograph below. 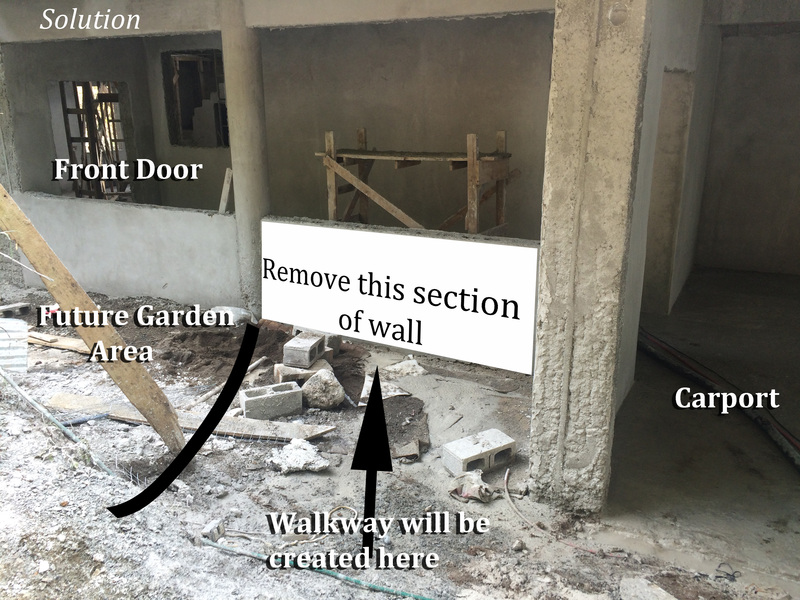 So, in order to create a more inviting entrance to the house, we decided to remove a section of the half wall at the entrance walkway so that there will be a direct path from the driveway to the front door (without having to go through the carport). This is a definite improvement to the design. 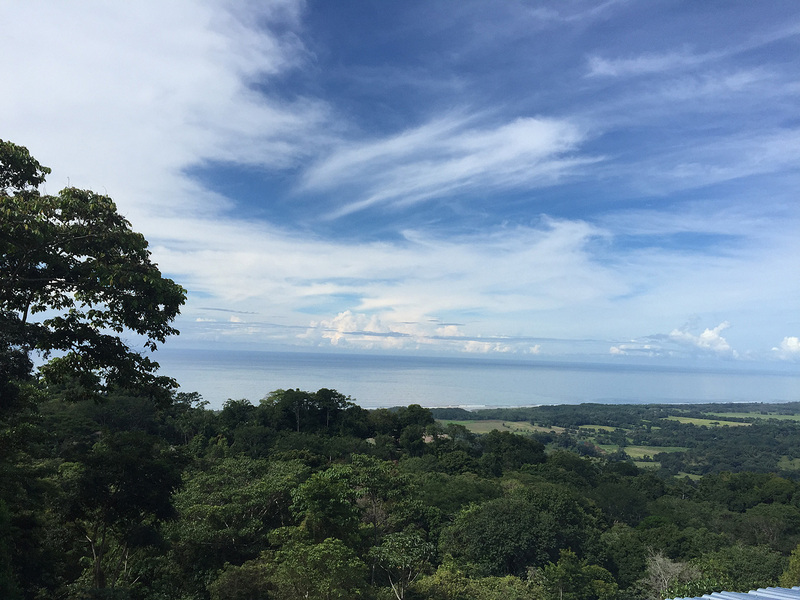 We never get tired of looking at our view. Here is the view from the upstairs guest suite. 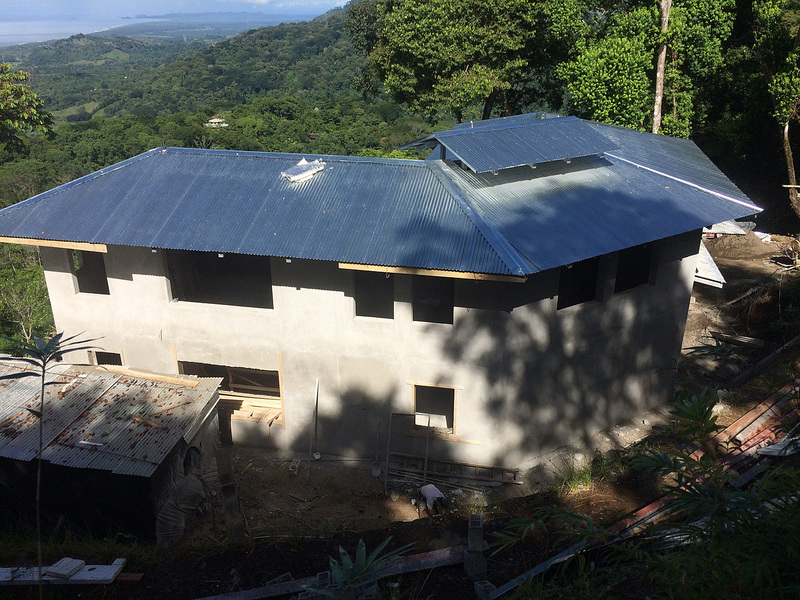 This entry was posted in Building our House and tagged building a house, Costa Rica, house building project, house construction, southern pacific. Bookmark the permalink. love love love this house and you !!!!!!! Thanks Liz! We are looking forward to seeing you guys! Coming to see that view and try out the guest suite!!!! You are having so much fun! Great! It will be ready and waiting for you.